Ukrainian company Concepter, which brought us the iBlazr smart flash in 2013, has launched a new Kickstarter campaign to fund production and distribution of its latest product, the iBlazr Case. 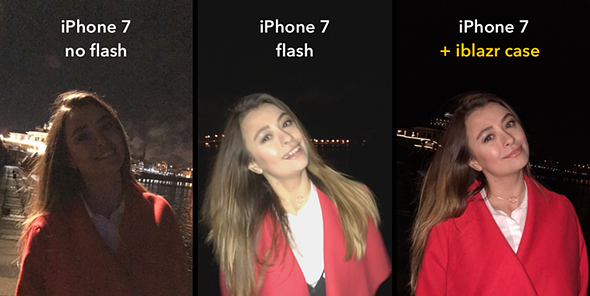 The iBlazr Case combines 40 dual-tone LEDs for better flash photography with a 2,500 mAh battery pack and is compatible with the iPhone 6, 6S, 6 Plus, 6S Plus, 7, and 7 Plus models. The ’40 high-power LEDs’ on the rear of the case are triggered by the phone’s built-in flash via a light sensor, which means the case works with virtually any iPhone camera app. According to its makers it provides 5 times the light output of the built-in LED flash or approximately 300 lux at 1 meter subject distance. The beam angle is 180 degrees and the built-in battery, which can also be used to charge the iPhone, is good for 1500 flash exposures. When the case is used as a flash light it provides more than 2.5 hours of constant illumination. 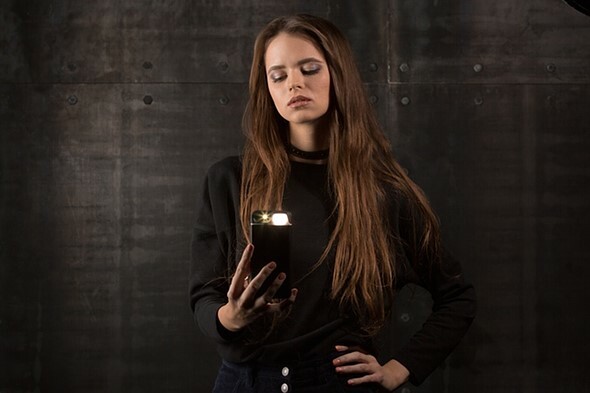 The LEDs can also be used to display customizable notifications for incoming calls, texts or other events, when the case is paired to the iPhone via a Bluetooth connection. The Shotlight companion app allows for adjustment of the flash color and brightness and is a fully-fledged camera app in its own right. 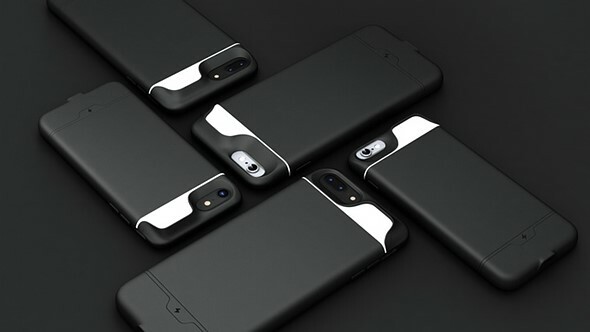 The iBlazr Case is made of ABS plastic and coated with a rubber material. The built-in battery is charged via USB Type-C port. You can now reserve a unit by pledging $55 or more on the project’s Kickstarter page. Shipping in envisaged for April 2017.